Ever since my introduction to short films and video projects in college, I've always had a passion to create something beautiful and memorable. Whether it be a documentary or a wedding highlight, I always strive to make sure it communicates and connects with the audience. By day, I'm a software engineer also striving to create a product that can communicate clearly with the user and their expectations while giving them a pleasant experience. The lovely venue at Freedom Hall in Santa Clara really made this wedding with Sabrina and John very intimate and special! I was very glad to have experienced and been a part of their special day! Via and Alex's wedding was one of my favorites because it really put my creativity to the test! I've never shot a wedding in the rain, but I really wanted to take advantage of that and that is what I did, I think! It was an honor to be able to film Allan and Charlene's wedding! I've known Allan for over 10 years by Spintronix and I'm glad to see him celebrate his happiest day! It was great to be a part of my cousin Edwin's wedding as a groomsman! At the end of the night, I ended up presenting a same day edit as a wedding gift for both Edwin and Bonnie! Margareth and Avi's wedding happening in probably one of the best wedding venues I've been to. It was a far drive up north in Walnut Grove, but the Grand Island Mansion was a beautiful location for them. The conclusion of fireworks definitely made the night one of the most memorable weddings I was given the honor to cover! Yvonne and May celebrated their special day in beautiful Oakland over at the Joaquin Miller Park! It was a perfect and sunny day to celebrate a wondering outdoor wedding. It was a pleasure to witness the marriage of this wonderful couple at the first place they met eachother: Jefferson Elementary School! I was very blessed to be able to pull off my fist same day edit with none other than these two! Rianna and Jae had a beautiful wedding at the huge St. Mary's Cathedral in San Francisco and The Regency Ballroom. Thanks to my crew for pulling this off! It was tough but all worth it at the end of the night! I've known Melanie and Marc for a while now and I felt very honored when they decided to choose me as their wedding videographers. Their wedding took place in beautiful Treasure Island in San Francisco. Gillian and Michael had a very nice intimate and small wedding, but the details at this one was amazing! It was a honor to celebrate their special day with them! Joelle and Brant had their wedding in sunny Carmel on the beautiful beach! Bess and Vi had their wonderful wedding in San Jose on Pi day! It was a perfect day for both of them because it definitely fits their enjoyable and high energy personalities! Ruby and Tony celebrated their wedding in Daly City and South San Francisco and everything about their special day was simple but yet full of fun! It was very interesting actually first meeting and shooting Christina & Burnett at their wedding in October 2014! We actually had met through a mutual friend but have only spoke via email until their actually wedding day. This wedding took place in Napa, Vallejo, and San Ramon, California. Meeting Anne-Marie & Matt was actually quite interesting because they were at the wedding of Deirdre and John! Anne-Marie and Matt took place in September 2014 in San Francisco, California. I was thrilled to be a part of Claudine & Ernest's wedding in August 2014 and be a part of their wonderful story. This wedding took place in Daly City and Saratoga, California. Over at the beautiful Bridges Golf Club in San Ramon, California, Rachele & Tyson's wedding touched the hearts of many on this wonderfully sunny day outdoors. Courtney & Divvya's wedding was filled with joy and laughter surrounded by family and friends throughout the world. This wedding was filmed in the heart of San Francisco. Jeanne and BJ had their wonderful wedding in the famous Bridges Golf Club in San Ramon, California. It always seems to be a beautiful day outside there every time I film here. In Livermore, California, Maira and Eleazar held their wedding at a beautiful winery. This wedding day couldn't be any more perfect for them and their first hours together. Deirdre & John got married in sunny San Francisco at St Dominic's Church. It was a perfect day to walk down the Embarcadero, which is just what Deirdre and John did for their first photos and husband and wife! 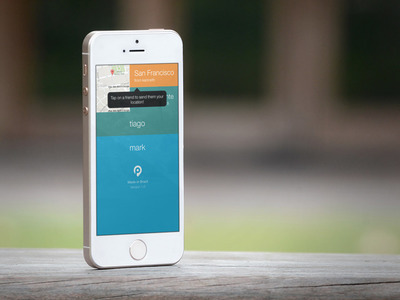 An iOS 8 app to simply share your location. Pin was made with Swift as a response to the infamous "Yo" app that had gotten a lot of attention. 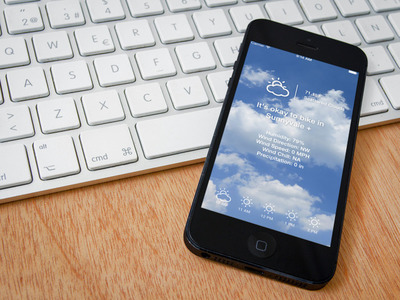 Originally a web app created by Victor Tolosa, this app simply tells you if it's okay to bike with smart forecast. I wanted to convert this to an iOS app from the ground up. 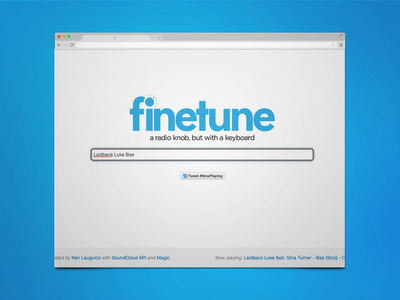 FineTune is a website that enables you to listen to music as you type for it. Inspired by Google's Instant Search and Feross' YTinstant. Built using the SoundCloud API in about 3 hours.